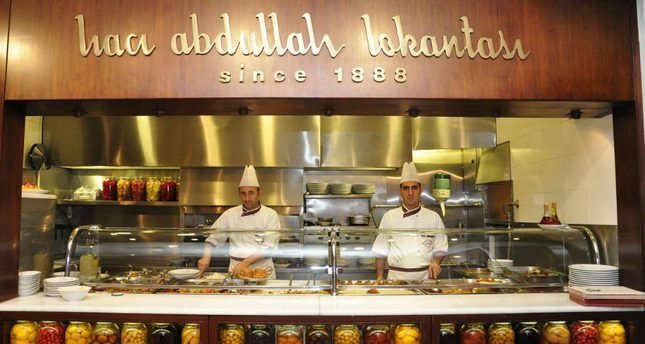 The story of the 127-year-old Hacı Abdullah restaurant began in the Ottoman era in 1888 when a restaurant called Abdullah Efendi opened during the final period of the Ottoman Empire in Karaköy Quay, which saw Sultan Abdülhamid II personally give the restaurant its trading license. Traditional companies in Turkey either pass from father to son or become acquired by another establishment; however, Hacı Abdullah suffered no such fate. The tradition of Hacı Abdullah is evidenced by the Ahi Community, which is being lost in modern business culture – meaning the restaurant’s ownership has transferred from master to apprentice. The current owners of the restaurant have been colleagues for more than 40 years. Abdullah Korun, the third generation entrepreneur of the restaurant, is one of the current owners who began as a waiter in 1967. After his master and boss, Hacı Salih, died in 1982, Korun and his partners took over the restaurant.